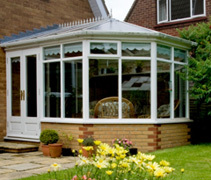 We are Essex specialists in conservatories of all shapes, designs and styles. All their conservatories are bespoke and we believe they should enhance and harmonise your existing home as well as complimenting your lifestyle. We pride ourselves on using high quality materials and first class workmanship. Using only the most highly skilled tradesman to complete your project both on time and within budget. We will see your project through from the design stage through to completion, our after sales service is second to none. We will always endeavour to give you the knowledge and expertise we have to create a design that works for you, your home and your family. No job really is too big or small for us; we deliver a high quality service to all of our customers and pride ourselves on customer recommendations. Give us a call or email us for a no obligation quote and let us come and create something special for your home. 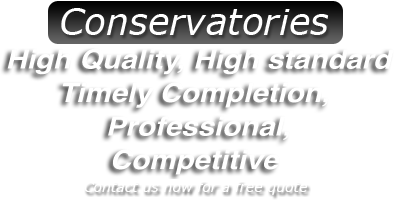 Read more about the premier House Conservatory Company in Essex. Why choose us for your Conservatory in Essex? A local building company with a long and successful track record. Lots of happy clients that are willing to let us use them as examples of our work. Our clients have written nice things about us that they will allow us to share. We come to your property and do a full site survey before offering fair impartial advice. 3D Diagrams are drafted and prepared for your inspection prior to work beginning. We do not insist of full payment before work begins. Essex Conservatories is part of a Essex Builders parent company that can handle any building requirement. Extra place to relax or work. More light into your home. Breathes life into your home. Extra Space for your family. Enjoy your garden all year.